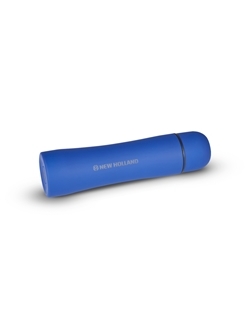 Blue thermal bottle, double-wall structure is designed to keep the liquid hot for 6 hours with closed top; rubbered surface, with tone-on-tone New Holland logo printing. Customized white box with New Holland logo. Material: high quality stainless steel. 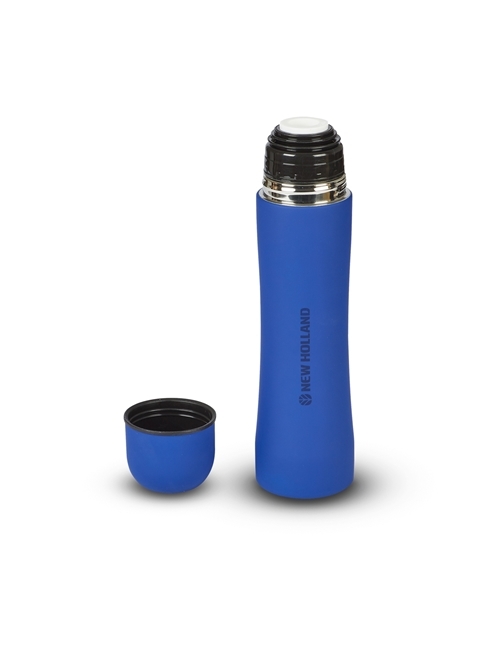 Suitable for food use and BPA FREE. Capacity: 500 ml.